As I promised, here’s the second little collection of my mini reviews of mini books! To read the first round click here! This one is more of a children oriented collection. 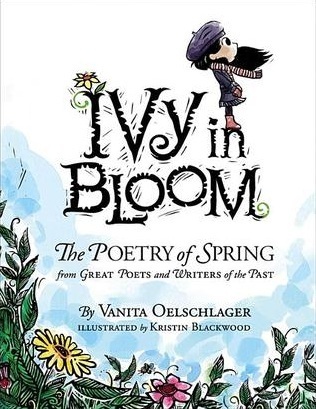 This children’s poetry/picture book is sweet, but to me, it sounded way better than it actually turned out to be. It’s a couple of original lines/verses (which I actually loved!) and many individual lines from famous poets, so that it would all look like one big poem telling a story about a girl waiting for the spring. It’s such an adorable and great idea! It didn’t really work for me, though. I expected a whole story built-up this way, but in fact, I found that it lacked some continuity and logic. It was simply moments dragged out from the days of a little girl longing for the end of winter. It’s sweet, but it could be better. In the end of the book there are excerpts of the poems the lines are taken from, and to be honest, I liked that part way more than the actual book. I do admit, though, that this is a very nice and creative way to introduce (very) little children to poetry. The illustrations are beautiful, sweet and I found them to be way more attractive than the text. For those I give this book a 3 star rating. I honestly loved them, and I think those are what little kids notice the most anyway. I got this book from VanitaBooks, LLC and NetGalley in exchange for my honest opinion. I expected a funny ride with familiar and humorous lines that we all heard as kids, and as adults tell them to get them do something important that they don’t want to, or something like that. It turned out to be more a joke of a book than a book of jokes. I honestly don’t get where these ideas came from. There were like three or four ‘lie’ that I already heard or at least understood what the purpose of saying them to a child could be. Otherwise, it was all completely lost on me. These things simply didn’t make sense. It’s just forced. Telling your kids lies just for the sake of lying isn’t funny! 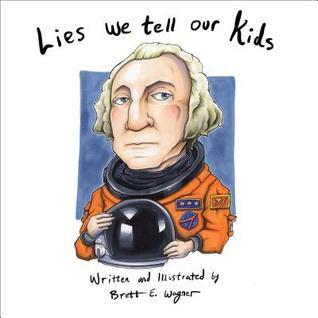 I get white lies, and I get that they can be funny, but to me the lies included in this little book were pointless, and didn’t make any sense. I rarely give a 1 star rating, but this is that to me. I got this book from Animal Media Group and NetGalley in exchange for my honest and unbiased opinion. This picture book for children is a very important one regarding the topic. Talking about mental health problems, even (or especially) with kids is a cardinal thing, and they must know they’re not alone. The illustrations are adorable, and the whole idea is beautiful. I like the wording, too, though it does gets very repetitive by the end. That’s why I think it’s more suitable for very young children, at around the age of 3-4, when they actually like repeating (and making us repeat) things. 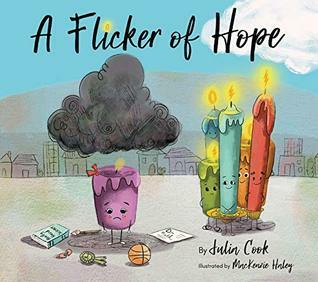 To me, this one was a very quick read, I loved the little candles, and by the end I felt like my heart warmed a bit, and I learnt to think of something in my soul as a little fire that needs help to shine from time to time. I got this book from the National Center for Youth Issues through NetGalley in exchange for my honest review. Do you read children’s books? What do you like in one? What do you think is more important in a book for tiny children, the text or the illustrations? Let’s talk! I read a lot of children’s books. I was a teacher librarian so that is one reason, but I also have three grandchildren and love to read to them, so often read the books first to see what I think. Depending on the age, I think both are equally important. The younger children need the illustrations to help them keep attending and to help with understanding the story. As they get older, the illustrations can be used as picture clues, to begin discussions and also to hold attention. I have read two of the three you reviewed and agree with you on them. Have not read the candle book though.